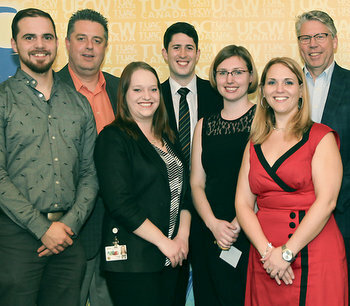 Ottawa – September 12, 2016 – UFCW Canada Local 232 members who work as staff members to the caucus of the federal New Democratic Party (NDP) have overwhelmingly ratified a new collective agreement. The contract contains a number of improvements including wage gains as well as enhanced contract language. The four-year contract covers members working for the federal NDP in the Leader’s office, communications, outreach, and in the parliamentary offices as well as the local constituency offices of NDP MPs across Canada. "My thanks to the bargaining committee for all their hard work," says Local 232 President Tom Shannon. "Their work was integral in achieving a successful outcome for the membership in a timely manner. With a new contract in place, Local 232 members look forward to a positive and productive workplace, while providing vital professional services to NDP MPs across the country."